OMG! 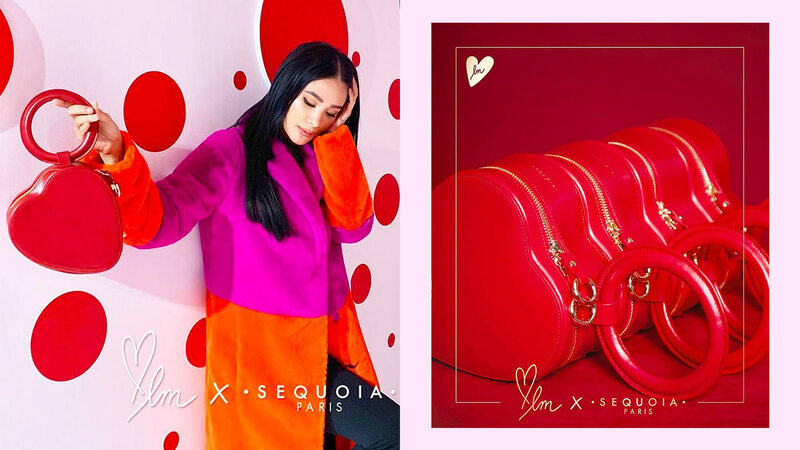 Heart Evangelista's Bag Collaboration With Sequoia Is Here! World, meet 'The Heart' bag. Heart wrote: "Sequoia Paris and I are proud to announce the launch of the Heart bag! It is the result of a shared passion between the Sequoia team and I for beautiful materials, vibrant colors and elegant details. The Heart bag is the perfect reflection of the blend between both Sequoia’s and my personal identity. We decided that instead of following a standard handbag shape, we drew an iconic and easily recognizable shape. Perfect for Valentines!" She also added that there will only be 100 pieces of the bags that will be available for purchase: "The Heart Bag is a limited edition, with only 100 items. It is available from today, Wednesday, January 23, in the Sequoia shop at 306, rue Saint Honoré 75001 Paris, and on the Sequoia website."